Human Touch massage chairs replicate the motions that a human massage therapist would make when giving a relaxing massage. The closest to the human touch of any chair on the market, Human Touch chairs are the brand of choice for the American College of Chiropractic Orthopedists. 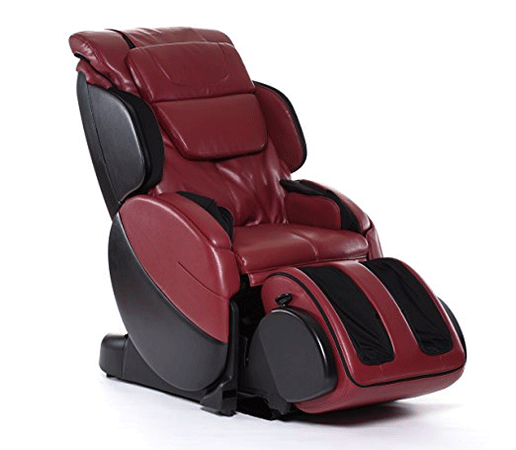 Chairs include a foot and calf massage unit and some are available with kneading and rolling massage strokes. Neck massage is optional on some units as is a stretching program. 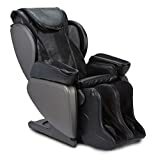 The Human Touch massage chairs are extremely popular because they provide the same benefits as a personal massage, which can be invaluable for those who are unable to make it to their massage therapist. Which Human Touch Massage Chair is Best? 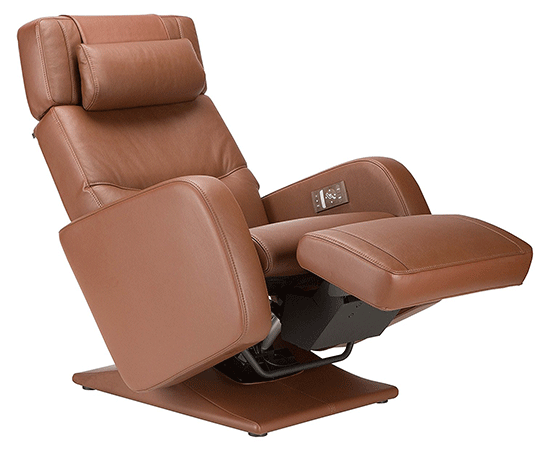 The Bali is one of Human Touch’s top of the line massage chairs; sophisticated design and innovative technology make it suitable for almost any application. Advanced 3-D rollers, LCD easy remote control, and nine vertical heights combine with a full-body stretch mode to deliver a massage that is precisely tailored to your needs. Twenty-one massage techniques are pre-programmed to loosen, stretch, and relax tense muscles from the neck to the feet. 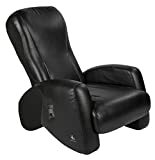 With its innovative cloud-touch technology, you’ll feel like you’re floating on air while its acupressure function will address pressure points for the most effective massage a chair can deliver. 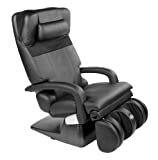 A retractable foot and leg massager can become an ottoman or slide into the chair for a sleek look. Designed for heights from 5’3″ to 6’5″, this chair can accommodate weights up to 285 pounds and is available in black, bone, butter, espresso, and red. 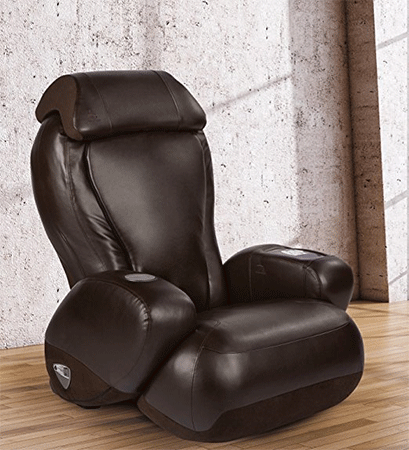 An extraordinary range of motion sets this zero gravity recliner apart, and elevated leg positions exceed zero gravity with a built-in one-touch control. Dual memory settings allow for two users and a battery back-up ensures that the settings won’t be lost in case of a power failure. This unique chair received the 2015 Design Journal ADEX Award for Design Excellence and can speed recovery after surgery. The articulated headrest and adjustable pillow place your neck in the correct position while the zero gravity improves circulation and increases oxygenation of the blood. Chairs are weight tested to 285 pounds and have a 24-inch wide seat. They are available in barista leather only. 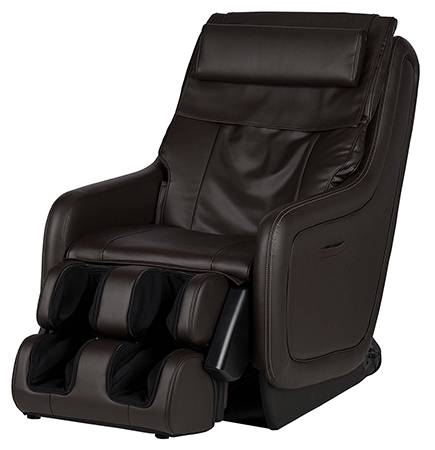 The 7450 Zero Gravity Massage Recliner delivers a choice of eight different massage programs that lasts for 15 minutes each. Lumbar modules have a heating unit that warms lower back muscles to quickly alleviate pain and soreness. Neck, back, and legs receive an invigorating massage similar to one that a human massage therapist would give. The 7450 automatically detects the height of the person in it and adjusts the massage accordingly. Three options for calf massage are available and roll upwards to encourage blood flow to the heart and away from tired feet. This chair is weight tested to 275 pounds. Delivering the ultimate zero gravity full body massage, the ZeroG uses a proprietary figure-eight technology to encourage blood flow to the heart and rejuvenate sore and tired muscles. The height and body customization features ensure that you get a massage tailored to your body. The 3D massage intensity delivers a massage with personalized degrees of intensity while the lumbar heat modules ease back tension. The self-adjusting foot and calf massage unit delivers vibration and the figure-eight technology so that feet are rejuvenated and circulation is enhanced. Available in black, bone, or espresso, this chair accommodates users from 5’0″ to 6’4″ and has a weight range of up to 284 pounds. With 36 wellness programs, the Navitas Sleep is one of the most sophisticated massage chairs on the market and has the most programs of any massage chair in the world. 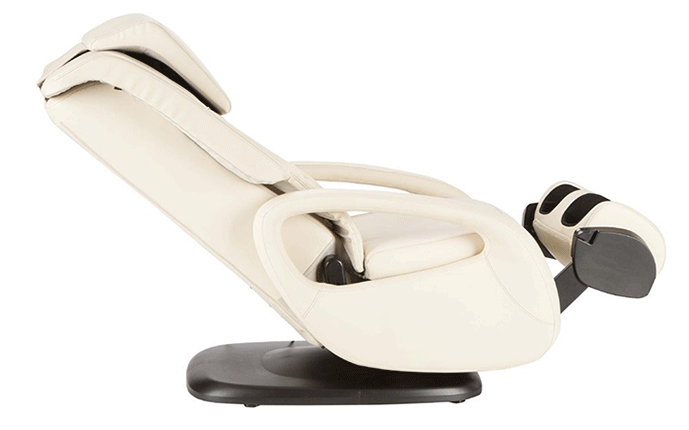 Combined with the zero gravity massage, this incredible chair will provide you with one of the best massages available from a chair. A unique feature is a set of programs designed specifically to enhance your sleep. Programs can be combined and saved so you can get your favorite massage routine at any time. The acupoint optical scan assesses your body and then remembers pressure points to target during your massage. 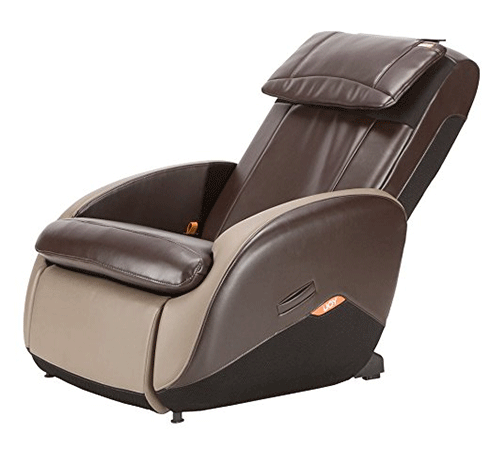 It’s one of only four chairs on the market that provide reflexology to the soles of the feet. This cutting edge chair accommodates individuals from 4’11” to 6’6″ with a maximum weight range of 285 pounds. Three colors are available, black, dark brown, and light brown. Four techniques used by professional massage technicians are programmed into this chair. Kneading, compression, percussion, and a combination of kneading and compression will deliver a massage similar to that of a professional therapist. With two levels of intensity, you’ll feel like you just had a session with a massage therapist but in the comfort of your own home. The upward rolling motion of the foot and calf massage unit will invigorate your legs and encourage circulation toward your heart. Three options are available for back massage: upper back, lower back, or full back. Removing the neck pillow will allow your neck to receive a more intense, deep tissue massage. Available in black or espresso, the recommended height range is 5’0″ to 6’2″. This chair’s exclusive BodyMap PRO allows you to select the area that needs work, then let the chair make you feel better. Five automatic programs provide relief for pain, stress, therapy, or relaxation for the full back, upper back, lower back, for relaxation, or for sleep. Warm air targets the shoulders to the lower back, and lumbar heat modules help relieve tight lower back muscles. CirQlation’s figure-eight technology improves circulation in feet and legs to help with hypertension, insomnia, fibromyalgia, and so forth. 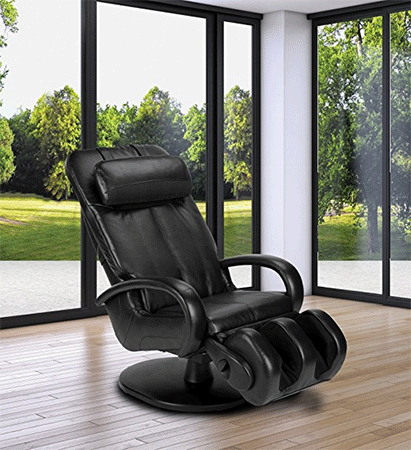 The perfect answer to a stressful day, the iJoy-2310 allows you to recline to almost 180 degrees while the chair massages away your pain and/or stress. Four professional techniques include kneading, compression, percussion, and rolling strokes. Space-saving, ergonomic design adapts well to almost any area and accommodates users from 4’10” to 6’0″ with a weight limit of 200 pounds. Simulating the techniques of a professional massage therapist, the iJoy Active 2.0 provides soothing and sensitive massage in a space-saving design that is perfect for small spaces yet reclines to almost 180 degrees. The recommended height range is 4’10” to 6’0″ with a maximum weight capacity of 200 pounds; available in espresso or bone. Three automatic programs are ideal for relieving stress or pain, or for relaxing. With a built-in control panel and the ability to recline to almost 180 degrees, this space saving chair features both manual and automatic programs. Available in bone or espresso, accommodating height ranges from 4’10” to 6’0″ and a maximum weight range of 200 pounds. In order to determine which chair will best suit your needs, you’ll need to answer a few questions. Human Touch chairs can be used primarily for stress reduction, the elimination of back pain, enhancing your circulation, accelerating your recovery from an injury or illness, or for your overall wellness. They can also be helpful in improving the quality of your sleep. The location of your chair will also determine the type of chair that will work best. Offices or commercial facilities often have considerably more space available and so can accommodate a larger chair. A portable chair may be best if it’s to be used in multiple locations, and a home chair may need to be more compact due to space constraints. All of Human Touch’s massage chairs are warrantied, but the warranty varies by the individual chair. All are highly rated and the manufacturer stands behind their chairs. The World Federation of Chiropractic, comprised of more than 100,000 chiropractors, has officially endorsed all Human Touch massage chairs.